This research project will explore industry cost trends focusing on productivity and efficiency changes and underlying causes. This will be complemented by an exploration of how public transportation is and might be positioned to sustain public support in an era of increased competition for transportation funds. The availability of adequate resources is the single most pressing problem facing public transportation in Florida and across the country and appears destined to remain the single most critical issue. The situation is a result of two factors: the ongoing challenges of providing given levels of service at a cost that does not outrun inflation, and, positioning transit to receive resources from public revenue sources. Public transportation as a labor dependent service industry has been pressured by labor and health-care costs, energy costs and urban congestion. Access to resources continues to be influenced by a reluctance to increase taxes, fundamental shifts in strategies for paying for various transportation services, and increasing pressure from other needs ranging from dramatic increases in roadway costs to pressures to fund other services that address evolving local, state, and national priorities such as security, health care, infrastructure, and responding to man-made or natural disasters. In simple terms: are costs under control, and where will the funding come from to support higher costs to preserve or expand levels of service? This research project will explore industry cost trends focusing on productivity and efficiency changes and underlying causes. This will be complemented by an exploration of how public transportation is and might be positioned to sustain public support in an era of increased competition for transportation funds. The expected product will document industry productivity trends and outline possible strategies for transit to position itself in an era of rapidly evolving infrastructure and service funding strategies. • A trend toward greater infrastructure investment and maintenance costs associated with growing infrastructure requirements (guideway systems, park-and-ride facilities, transit centers, shelters, signage, information systems, etc.) necessary to support competitive transit services. These factors collectively challenge the transit industry to keep unit costs reasonable in the context of relatively modest overall inflation. Increased globalization of inputs and enhanced communications and computing capabilities have enabled many sectors of the economy to show vast improvements in productivity over the past several years; however, the nature of public transit services is such that it has not been able capture sufficient benefits from these phenomena to offset the factors mentioned above. In many situations, the growth of transit supporting revenues has not kept pace with the growth in service needs and higher costs for existing services. This creates repeated crises every few years as agencies’ cost growth outpaces the income stream and requires new revenue sources or meaningful service changes. These funding crises impact the agencies ability to accomplish their mission as more and more resources are spent in trying to respond to the crisis and shore up revenue streams and spending plans. This research will evaluate recent trends in transit productivity with the intent of identifying expectations for future productivity changes as well as identifying advantage points and opportunities where the transit industry may be able to increase productivity. This problem is responsive to industry concerns and the FTA research goal focusing on improving capital and operating efficiencies. It is expected that this research will provide insight for the transit profession regarding future cost escalation as well as identify areas that might provide opportunities for cost growth control. The sustainability of public support for public transportation is highly dependent on the industry’s ability to maintain sufficient productivity to support the resource efficiency of public transportation. This research will provide a detailed and objective look at productivity trends, their implications and strategies on how the industry might respond. This research will also evaluate funding trends by source, by level of government, and by spending category. All levels of government are giving increased attention to the issue of future funding for transportation infrastructure and services. These initiatives as evidenced by SAFETY-LU investments in research on distance-traveled based revenue collection technologies and the establishment of congressionally appointed task forces to explore future funding, are receiving attention at all levels of government. The combined effect of dramatic recent cost increases for transportation infrastructure related to concrete, steel, oil, and labor cost increases; moderating growth in vehicle mileage and fuel consumption with the expectation of high energy costs continuing to dampen fuel consumption; recognition that historic investment levels have not been keeping pace with demand; and the drawdown of highway trust fund surpluses, have produced something of a perfect storm as it relates to transportation funding. Evolving technologies including the prospect of distance based fees, open road tolling, GPS vehicle monitoring, and alternatively fueled vehicles also create opportunities and challenges regarding transportation funding. A growing interest in public-private partnerships for roadway construction and in growth management related impact fee-type revenue strategies are similarly spurring interest in transportation funding. Underlying these issues has been reluctance by policy makers to increase traditional fuel tax based funding for transportation. Increasingly general revenues, sales taxes, and private sector fee sources of funding are being considered. In spite of these challenges, there exists a concurrent trend of growing success of transportation funding referenda being passed by the public when they are accompanied by a specific plan and championed by credible leadership. The implications of this overall trend in public transportation are many-fold. Historically, public transportation has been given a substantial share of federal transportation funds (approximately 20%) and increasingly is an eligible spending category for other federal spending programs. While these historic relationships may not deteriorate, their significance could be reduced over time as federal funding becomes a more modest share of overall transportation spending. In addition, should devolution of funding to the States occur, public transportation may be required to compete for funds at each state government and the consequences could be dramatically different. Should private sector funding become a larger share via privately owned toll roads or via increased direct investment through constructing infrastructure, paying impact fees, providing right-of-way, etc., public transportation could face challenges in retaining the current shares of total transportation investment. While public transportation does have some experience in joint development in the negotiating concessions from developers and even toll facility operators, this environment would be dramatically different and challenge transit agencies to develop stable and sustainable revenue streams. This research will explore the implications of changes in these relationships over time as a result of evolving trends in transportation finance. The ultimate goal will be to create a better understanding of the financial challenges that may result for public transportation as the overall transportation funding institutional structure evolves. This will enable transit agencies and policy makers to explore the impacts on public transit of new transportation funding strategies and to proactively take advantage of opportunities that may arise. Literature review will be carried out with two purposes. It will synthesize historic data relating to both transit productivity and public transit funding and will identify research within the past few years that has explored current issues and trends associated with both transit productivity and efficiency and transit use or access to innovative funding revenue streams. • the relationship of the labor price index to the Consumer Price Index, and, energy costs. This task will involve gathering expert forecasts for trends involving critical elements that influenced transit productivity. This will include analysis of anticipated energy cost trends, labor cost trends, congestion cost trends, health care cost trends and perhaps other trends where credible extrapolation’s might be of value to the transit industry to understand cost challenges going forward. This task will review trends on how public transportation is financed across the country. This review will rely on analysis of NTD data and review of other research. Of particular interest will be cases where the relative shares of funding across sources are changing and/or there is evidence of new or innovative revenue sources. This task will involve identifying a number of cases where transit has been involved in securing revenues from the revolving revenue streams. Of particular interest here will be identifying cases were transit has been successful in leveraging funding or partnership status in such initiatives as privatization of existing toll roads; partnering a new public-private corridor; accessing impact, concurrency, or other revenues assessed on development, and transit’s consideration in distance-based and other evolving revenue streams being considered for transportation. This task will include monitoring how transit is being considered in the congressionally mandated task forces exploring future transportation funding. Task 6 will involve compiling and authoring the final report, having it reviewed internally and by the client and finalizing it for distribution. The final report will build on but not replicate the prior interim reports, rather focusing on interpretation of the implications. Note: All materials printed under the contract will have the FDOT, USF and CUTR logo. 2. A technical report documenting the first three tasks will be prepared. This will be a stand-alone document. 3. A second technical report will cover tasks four and five and also be a stand-alone report. 4. A final report, Task 6, will synthesize the findings. These three documents will be disseminated through normal channels and provided to FDOT. *Completed unfinished as per agreement/No final report will be issued. Notes: This budget does not reflect any federal participation. The project team will include faculty, students, and secretarial and other support staff who will work directly on the project and whose costs are reflected in the direct costs of the project as listed above. Budget requests includes salaries for clerical and administrative staff, postage, telephone calls, office supplies, general purpose software, subscriptions, and/or memberships. No equipment is envisioned to be purchased under this project. One person trip to Tallahassee are anticipated to share interim results and/or review draft documents with the designated project manager. Graduate students will be extensively involved in carrying out this research supporting the literature review and data development and processing activities. The project will build on the body of research CUTR and NCTR has carried out regarding transit costs and productivity in funding. The results of this analysis will be provided to the FDOT through a series of technical memoranda and a final report. 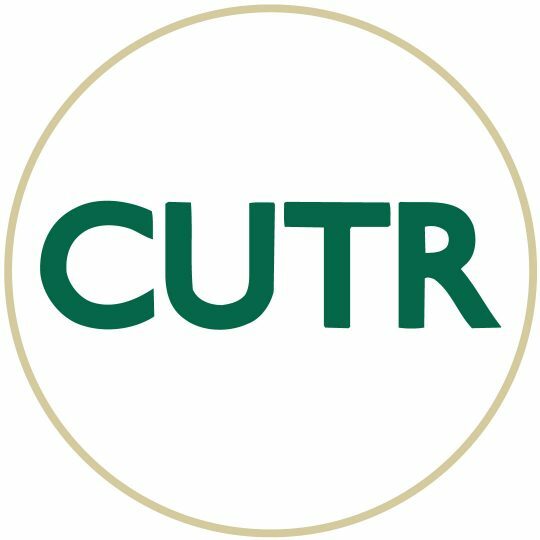 The final report will be contained on the CUTR and NCTR web sites, with final reports to the FDOT, and USDOT Office of Research and Special Programs Administration. The project results will position the transit industry to both more fully understand cost challenges and opportunities to mitigate them as well as position them to represent transit interests as transportation funding strategies evolve.